View past events and speakers from the Startup Galway Tech Meetups and Workshops. Mareese Keane is Program Manager of the THRIVE AgTech Accelerator with SVG Partners. She has 12 years of experience in the environmental sector, working for government, private sector consulting and industry. Born and raised in Ireland, Mareese has a BSc in Geology from University College Cork and an MSc in Applied Environmental Sciences from Queen’s University Belfast. Since then she has lived and worked in Dublin, Ireland, Vancouver, BC, Philadelphia, PA and since 2010, San Jose, CA. Mareese brings extensive project management and program management experience to the SVG team. 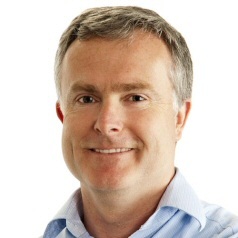 Gareth Keane is a Senior Investment Manager with Qualcomm Ventures, leading activities in the hardware and connected device ecosystems. He helped define the Qualcomm Ventures investment thesis around UAVs and robotics, and led their investments in companies like 3D Robotics and Spire. Gareth graduated from NUI Galway with a BE in Electronic Engineering in 1994, and followed this up with a PhD in Electronic Engineering from QUB in 1999. He worked on complex semiconductor design tools for Cadence, and continued working on methodologies and design flows as an engineer and manager at PMC-Sierra. After eight years solving tech challenges in successively smaller silicon geometries, he completed an MBA at UPenn/Wharton in Philadelphia in 2010. Robert Rosenberg is the director of entrepreneurship programs in the Polsky Center for Entrepreneurship and Innovation at the University of Chicago Booth School of Business (consistently ranked among the top five business schools in the world), and is an adjunct associate professor of entrepreneurship there. He works at the intersection of entrepreneurship and marketing communications. Robert's skills include branding, fundraising, business development, licensing and merchandising, human resources and strategic planning/implementation. He is a resource and mentor, as well as clinical faculty at the University of Chicago Booth School of Business. Robert has supported startups in a variety of capacities, from business plan development to investing. Among these are Advanced Diamond Technologies, Brilliant.org, CareMerge, Chromatin, Congressional Pharmaceuticals, Maroon Pharmaceuticals, NephRx, SloWave, Sonarmed, Spin Networks, Tolerance Therapeutics, and Xcyte Therapies. He currently serves on several boards, including the Illinois Technology Development Fund, Manufacturing Renaissance, and the Midwest Research University Network. Robert is also faculty liaison to Hyde Park Angels (the largest and most active angel group in the Midwest), and is co-chair of HPA's Healthcare Ambassador Circle. Siobhan Maughan is the founder of Integrated Thinking, a software product management consultancy with hands-on experience in growing product revenues and building market- and product-focused companies. 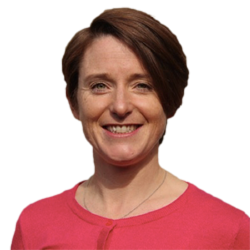 Siobhan has over 20 years experience in the software industry. As Vice President of Product Management at Openet, she was responsible for the entire portfolio of Openet's products. Siobhan chaired the Irish Software Association's Product Management Working Group - established to promote the development of the product management discipline within the indigenous software industry in Ireland. 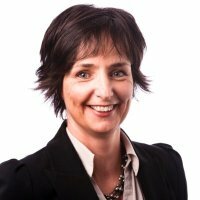 Siobhan will talk about "Product Management - A Collaborative Approach to Solving Business Problems". In a competitive landscape, a startup's ability to identify key problems to solve for a broad market segment and the capacity to deliver clever solutions that add value is crucial to success. Early-stage businesses and startups adopt a lot of the principles of product management from the start, but they often don't hire dedicated resources or formalise the discipline. Siobhan discusses the benefits, whether your company is a startup or more established SME, of rebooting and formalising your approach to product strategy to combine the “what” and “why” of market-led product management with the “how” of engineering. She will discuss how fostering a collaborative approach between product managers and engineers adds value to scaling technology companies. Sean O'Sullivan is an entrepreneur, inventor and investor, born in New York City and currently living in County Cork, Ireland. He is best known for co-founding MapInfo Corporation which popularised street maps on computers, and for coining the term "Cloud Computing". He is Managing Director at Carma, a global software company, and at SOSventures, a 0m venture capital operation. O'Sullivan has had an unusually diverse career, being described as a "renaissance man". He has also been described as an engineer, musician, computer programmer, a humanitarian, a war photographer, a cinematographer, stock analyst, freelance photojournalist, a venture capitalist and writer. O'Sullivan holds a Bachelor of Science in Electrical Engineering from Rensselaer Polytechnic Institute and a Master of Fine Arts in Film Production from the University of Southern California. As a developer or a software entrepreneur you now have a hand in creating the future and fast! Bluemix, an open-standard, cloud-based public Platform-as-a-Service for building, hosting, managing, and running applications of all types, offers you all the instant services (APIs), runtimes and infrastructure you need to push your ideas into the present. This event will focus on rapid meaningful live demos to quickly introduce IBM's PaaS, Bluemix. You will learn how to build and deploy killer web, mobile, IoT, big data, analytics and cognitive apps safe from technology lock-in. Socialise with other users and Bluemix experts right after who will be happy to guide you further. More info at www.bluemix.net and register for a 30-day free trial at ibm.biz/IrelandMeetups. The speakers are Ben O'Sullivan, Ian Lynch and Ronan Dalton from IBM. Register here for free. 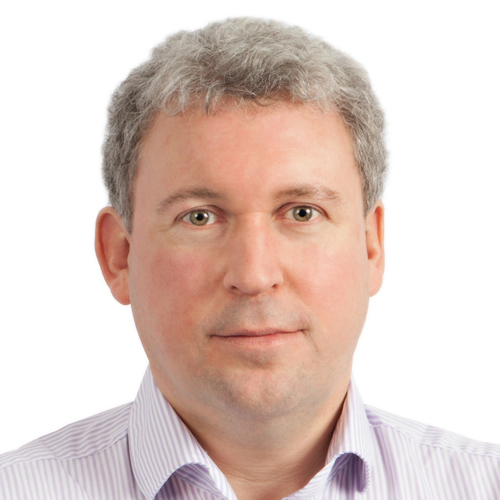 Ben O'Sullivan is a cloud computing PaaS specialist from the Bluemix team at IBM in Dublin. Before joining IBM, Ben gained 20 years experience in startup and development stage companies both here in Ireland and overseas. Ian Lynch is a Bluemix technical specialist, unwrapping the power of cloud technology for weekend coders or those in large multinationals. Ian has an obsession for gadgets and connectable devices, and a passion for the Internet of Things. Ronan Dalton is a cloud Leader and trusted advisor to IBM Ireland's clients on cloud strategy and design. Ronan has a passion for technology, teaching and learning. More info on Ronan can be found at cloudleader.org. Mark Bowles is Founder and Senior Vice President of Innovation with ecoATM, provider of automated recycling stations for consumer electronics, and acquired by Outerwall for 350 million dollars in 2013. He has more than 25 years in the semiconductor, wireless, and kiosk industries and has been involved in the formation and funding of six tech startups for which he has raised 17 rounds of VC financing totalling nearly 250 million dollars, with some nice financial exits for these investors in the process. 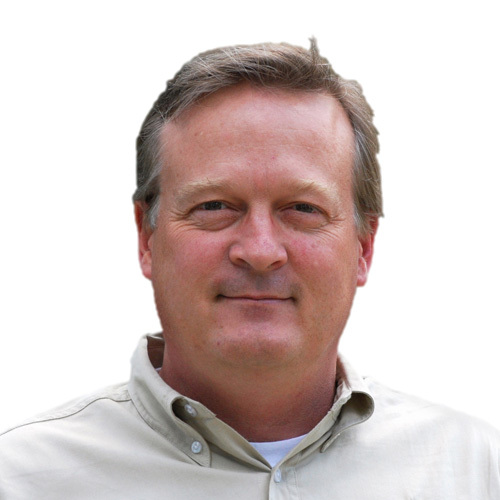 Prior to ecoATM, Mark was VP Marketing and Business Development with Vativ (sold to Entropic). Prior to that, he co-founded Staccato in 2002 and was VP Marketing and Business Development. Prior to Staccato, Mark was Co-Founder, President, COO and Director of BOPS (sold to Altera). Prior to BOPS, he was instrumental in forming and funding a number of successful startups including Power Computing (sold to Apple in 1996); Panorama Designs (sold to Motorola in 1996); and BlueSteel Networks (sold to Broadcom in 2000). Mark also spent six years at Motorola Semiconductor where he held various distribution management, sales and market development positions; he left in 1996 as VP MSPI of PowerPC Market Development. Mark has had nine patents granted in kiosk technology, 30+ pending in kiosk technology, and 1 pending in wireless authentication. He has also been a National Science Foundation grantee and researcher. Mark is Chairman of the San Diego Venture Group, and a Mentor at the Qualcomm/TechStars Robotics Accelerator in San Diego. 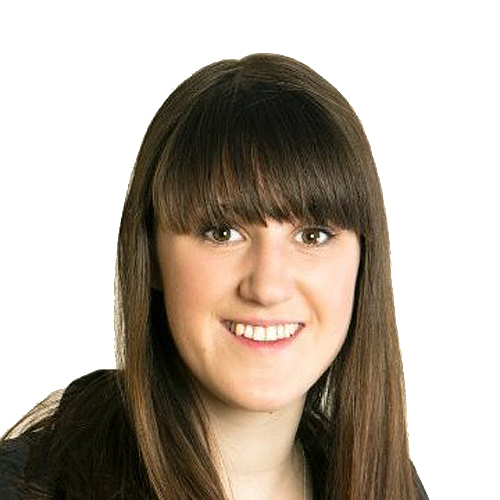 Iseult Ward is co-founder and CEO of Foodcloud. Foodcloud is a community-based social enterprise that brings food businesses and charities together through an easy-to use and reliable platform, matching those with too much food with those who have too little. To date, Foodcloud have facilitated the redistribution of 123 tonnes of surplus food to a growing network of charities right around Ireland. Foodcloud has received a Social Entrepreneurs Ireland Minnovation Award, a place in NDRC's Launchpad startup accelerator programme, and are recent winners of a bursary from Arthur Guinness Projects. Iseult herself is passionate about food, and it is her passion that drives Foodcloud: she hates to see food wasted, particularly when so many are unable to enjoy its benefits. Iseult is a Business and Economics graduate from Trinity College Dublin, and was winner of the Trinity Business Student of the Year Award in 2013. She was listed in Time Magazine's Next Generation Leaders for 2014, and along with Foodcloud co-founder Aoibheann O'Brien was the Irish winner at the Ben & Jerry's and Ashoka "Join Our Core" competition in 2014. Colman Farrell is co-founder and Director of Learning at the School for Social Entrepreneurs Ireland, supporting individuals who are starting and growing social enterprises and community organisations through action-learning courses. Before SSE Ireland, Colman was the co-founder and CEO of Suas Educational Development, a multiple-award winning Irish education focused non-profit supporting programmes in Ireland, India and Kenya. Colman received a Social Entrepreneurs Ireland Award in 2005, was a member of the International Visitors Leadership Programme in 2009, and received an Arthur Guinness Fund Award in 2010. He was also Vice-Chair of the Board of Dóchas. Originally a doctor, with a degree from Trinity College Dublin, Colman worked in the Rwandan Refugee Crisis in 1994, and later supported the startup stage of Gatoto Community School in Nairobi, Kenya. He also obtained a Masters in Multimedia from Trinity, and worked as an IT and Software Development Manager at Proctor and Gamble and General Electric respectively. He later joined Enterprise Ireland as an Organisational Development Manager, working on change management and performance development. 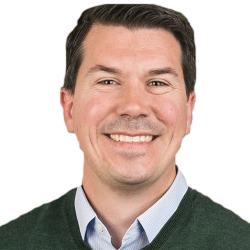 Joe Smyth is the Chief Technical Officer of Altocloud, a startup driving the convergence of web analytics and realtime customer care. Joe has previously worked with Apple, Nortel and Cisco. He holds five patents in the area of VoIP, with a further six pending in virtualisation, web analytics and customer care. 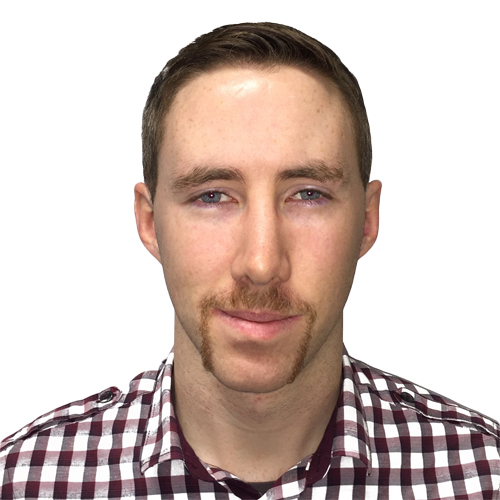 Colm Hally is a Software Engineer who has been leading DevOps in Altocloud. He has extensive knowledge of how Docker is used in practice, how it insulates Dev from Ops, and how it assists throughout the software development cycle. Christopher Byrne is a tech entrepreneur, transatlantic sailor and runner who lives in Dingle, County Kerry. He is currently the CEO and co-founder of SensorPro, a messaging and feedback platform that has served brands including Pampers, Brown Thomas, Family Dollar, WD40 and Shopper's Voice. SensorPro is distributed worldwide in a private-label agreement with Epicor, and has been private-labeled by Epsilon Interactive for use with the TargetSource database of 52 million North American consumers. In 1992, he co-founded Cashbook.com which pioneered electronic payment and reconciliation solutions on the IBM AS/400 and Microsoft platforms. The products were distributed worldwide by SSA, now Infor. Cashbook.com was acquired by e-procurement firm Clarus Corporation in 2000 for 60 million dollars. 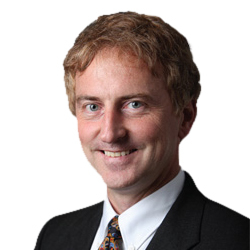 Prior to Cashbook.com, Christopher ran the Irish R&D operation for Software 2000 which became Infinium Software. He has also worked in Analog Devices and Atari. 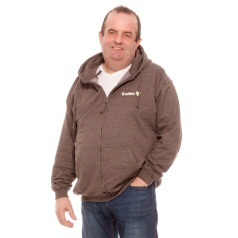 He has a BSc in Applied Mathematics from the University of Limerick, and is a mentor and founder of CoderDojo Dingle. Paul Kenny is the founder and CEO of Cobone.com, and also the co-founder and CEO of Triperna.com. Both are Tiger Global-backed companies, and are part of a leading group of e-commerce companies in the Middle East and North Africa (MENA). Paul is one of the most recognised and influential figures in the internet space in the MENA region. He has been selected as the 10th most influential person under the age of 30 in the Middle East, and one of the 25 most important people in technology in the region. In September and October 2012, Paul won both the Middle East Entrepreneur of the Year Award from Gulf Business and the Ernst & Young Emerging Entrepreneur of the Year Award, highlighting the explosive growth achieved so early in his career. Paul has made numerous investments into internet and technology companies, and acts as a mentor, advisor and board member to several companies around the world. 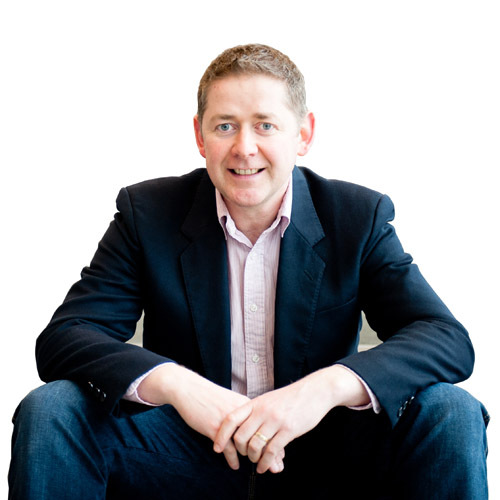 Michael FitzGerald is CEO and founder of OnePageCRM, an award-winning sales application for SMEs. By applying Getting Things Done (GTD) to sales, OnePageCRM has created a unique "next action"-based workflow to nudge each sale forward to success (meeting, calling, emailing, presenting, estimates, follow-up, etc.). In 2013, OnePageCRM became the first recipient of funding from Twilio Fund Europe, a microfund backed by cloud communications company Twilio and Dave McClure's Silicon Valley-based accelerator 500 Startups. Previously, OnePageCRM has raised investment of €575,000 from private investors and Enterprise Ireland. A design engineer by trade and inventor by nature, Michael's career has taken him from designing Olympic athlete test equipment to the development of consumer products for multinational companies. Michael's strength is in creating concepts to give the ultimate user experience. He is an alumni of the Enterprise Ireland Internet Growth Acceleration Programme (iGAP), and has also been a mentor at both Startupbootcamp and Startup Weekend in Dublin. 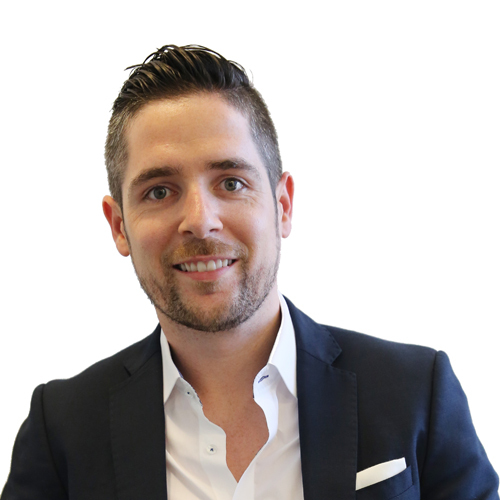 Barry O'Sullivan is CEO of Altocloud, a software company with a mission of improving customer engagement and contact centre experiences. Altocloud is creating a cloud-based contextual communications platform that uses data analytics and machine learning to produce more effective customer-to-company interactions. Prior to Altocloud, he was Senior Vice President at Cisco Systems and has been General Manager of several multi-billion dollar divisions including Collaboration, Unified Communications and Voice Over IP, which he led from number six to the number one market share position worldwide. O'Sullivan has spent most of his career in Silicon Valley, joining Cisco in 2002, having previously been GM of Nortel's contact centre software business. 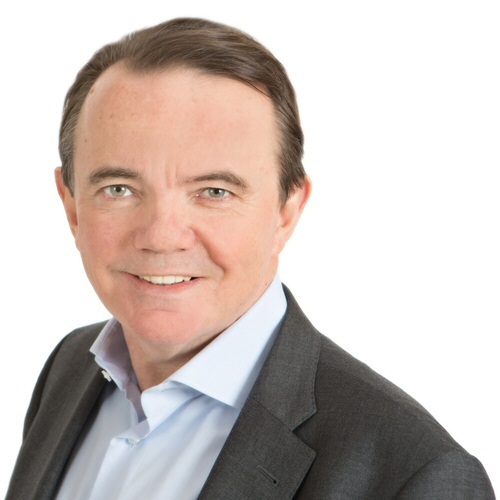 O'Sullivan is a technology investor and is co-founder of the Irish Technology Leadership Group, a group of senior Irish American technology executives. He also serves on the board of Cope Galway, a charitable organisation focused on reducing isolation and homelessness. He holds a bachelor's degree in electrical engineering from University College Cork and a master's degree in computer science from the University of Limerick, as well as a master's degree in business administration from Santa Clara University, California. Married with four children, he divides his time between Palo Alto, California and Galway, Ireland. 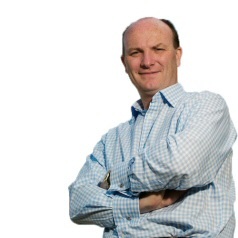 Declan Ganley is one of Galway's most successful technology entrepreneurs. He founded Rivada Networks in 2004, and serves as both CEO and Chairman of the company. Rivada Networks is a leading designer, integrator and operator of wireless, interoperable public safety communications networks for state and local government customers. He is also the patented co-inventor of Dynamic Spectrum Arbitrage technology. Declan has built a number of businesses in the telecommunications and natural resources sector including Broadnet, which rolled out wireless networks in ten European countries. He rolled out a cable TV network, Cabletel, in Eastern Europe, and from 1991 to 1997 he built what became the largest private forestry company in the former Soviet Union. He is a regular commentator/op-ed contributor on business and European affairs for international print and broadcast media. Declan is a recipient of the Louisiana Distinguished Service Medal for what was cited as his life saving actions, leading Rivada Networks delivery of communications capability for emergency responders post-Hurricane Katrina. In 2008, he was awarded the Frode Jacobson Prize for Courage in Copenhagen and the Czech Republics Michal Tosovsky Prize. He served for over twenty years with the 54th Field Artillery Regiment, Irish Army Reserve. 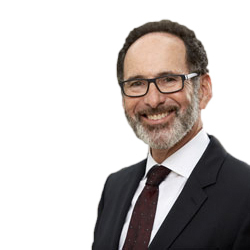 Dermot Berkery joined Delta Partners in 1999 as a General Partner. 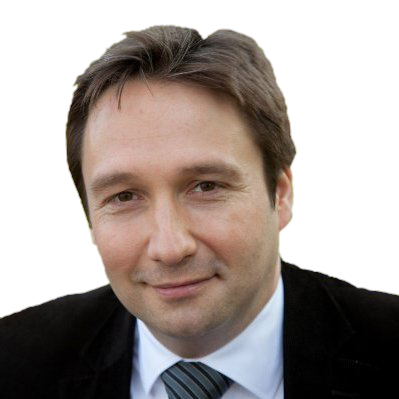 He serves on the board of Seewhy Software, Sensl, Luzern and Clavis Technology. He was also previously on the board of Farran Technology (sold in 2005 to Smiths Industries) and Similarity Systems (sold in 2006 to Informatica Inc.). Before joining Delta, he was a Senior Manager with McKinsey & Co. Having worked in McKinsey, Atlanta for 4 years, he returned to Dublin in 1995 to grow McKinseys presence in Ireland. From 1995 to 1998, he helped Irish companies in a range of sectors to develop and pursue accelerated growth strategies. Prior to McKinsey, he was a Senior in the Corporate Financial Services Division of Arthur Andersen in Dublin and London, where he specialised in financial restructuring. A graduate of University College Dublin in Commerce, he holds an MBA with distinction from the Harvard Business School and is qualified as a Chartered Accountant. Dermot has written a book for entrepreneurs seeking venture capital entitled "Raising Venture Capital for the Serious Entrepreneur", published by McGraw-Hill. 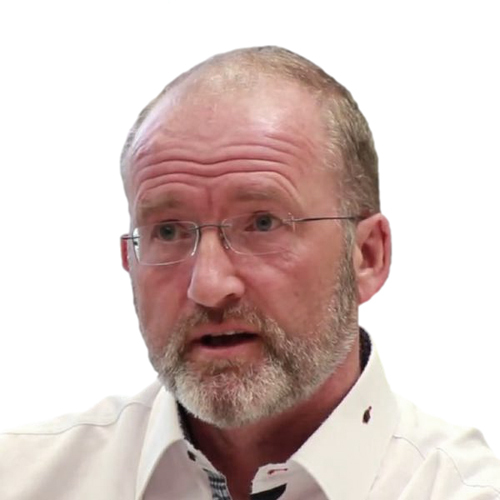 With more than 15 years experience in global technology and e-commerce, Pat Phelan has won a number of awards for his innovative approach to business, including the IIA Net Visionary Award (2008). It was his own negative experience with online fraud as an e-commerce merchant that led him to develop technologies to address this drain on revenues. As a serial entrepreneur in the internet, mobile, and telecoms sectors, Pat has a no-nonsense, relationship-centered approach to business and has even been known to respond personally to customer queries in the middle of the night. He insists that Trustev must not only meet its customers’ needs, but also exceed their expectations.